On Thursday morning Amira asked me, "do you happen to know if you can copy an event on multiple calendars on Google Calendar?" My answer to her question was, "yes, you can." In the following video I demonstrate how to display the same event on multiple Google Calendars. 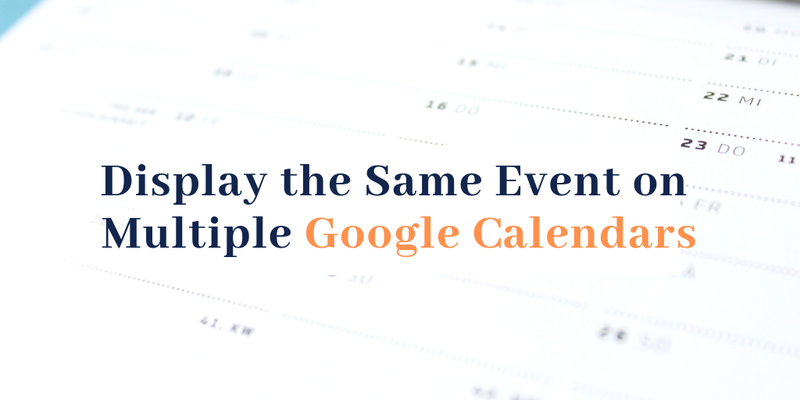 There are lots of reasons why you might need to copy the same event to multiple Google Calendars. In the example in the video I had one calendar for members of a school basketball team and one calendar for school-wide sporting events. Some, but not all, of the events for the team members calendar were also relevant for the school-wide sports events calendar. You might find yourself teaching multiple sections of a course and rather than re-writing events on each calendar, you could just copy to all of the calendars and modify as needed. Learn more about Google Calendar in my on-demand webinar Get Organized With Google Classroom, Calendar, and Keep.